Discussion in 'Android Tablet News' started by xaueious, Aug 10, 2010. The Notion Ink Adam is being delayed again, according to Engadget. Some investors have decided to bail on Notion Ink, leaving the company with funding issues which subsequently led to missing the July / August timeline for manufacturing. Now the device wont be available earlier than at least November. Notion CEO Shravan assures that the device will be available before the year ends, with pricing of all three devices lower than the basic model of the iPad ($499). If this includes the Pixel Qi display variant, this is truly an attractive price for this device. But will we be enticed by more competitive Android tablets by then? "We will have the device before the year ends. It will be introduced at a major event after which you can order it online. It has to be placed strategically, as this is our maiden effort. Whatever has happened cannot be changed, but with the support we are getting from all, we might just become a part of the history. Also on the pricing, all the 3 devices will be lower than even the basic model of iPad (which is $499)." Google Android 3.0 (Gingerbread) is rumored to be released sometime in Q4 this year. As Android 2.2 does not have official support for large resolution devices such as the 1024x600 the Notion Ink Adam, having an Android 3.0 based device should be more viable than a premature product based on Android 2.2. Currently we will ship LCD and PQ Variants. Both available in Wi-fi only and 3G modes. I believe you will get a range of around $399 to $498 for these four. (Please remember I haven&#8217;t taken the fluctuations, so be little skeptical). We are also working on reducing it further down (let&#8217;s leave the good news for the future). It is pretty surprising that he said the "pricing of all three devices lower than the basic model of the iPad ($499)." I expected the fully-loaded device to be closed to be above the $500 range with all the hardware included (10" pixel qi, tegra, 3g, 3.2 MP camera, etc). I suppose the hardware could still be subject to change. 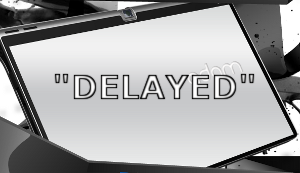 I'm beginning to really worry about these delays. Too many. Where there's smoke, there's fire. I hope this doesn't end up totally different then what people are expecting. They really need a home run to put themselves on the map. I say let them take care of all know UAT issues before releasing it.